Oats is rich with fibre content. Hence it works miraculously on people working on their weight. A cup of oats gives a feeling of fulfillment of a heavy meal curbing the desire to eat anything more. Hence it should be a mandatory item added to the menu of those considering weight loss, like me. After putting myself through an hour long grind of workouts, I feel very hungry in the evening. Oats seem very useful in satiating my hunger within minutes. 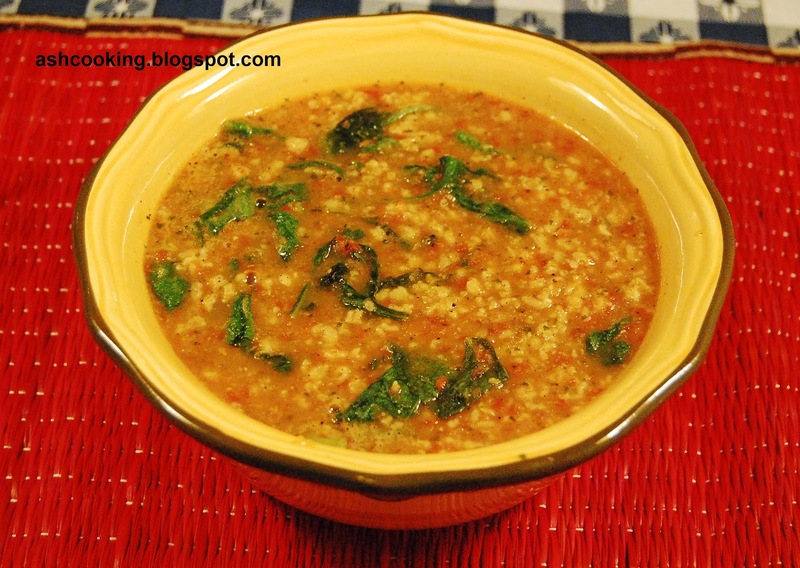 This lovely mouth-watering oats soup makes dinner a heavenly experience. You can take breadstick as accompaniment or you may choose to have it on its own. I usually prepare the oats soup very simply without any embellishment. But to boost up the taste, you may add shredded chicken to the soup. 1) Process tomatoes, onion and coriander leaves together in a mixer grinder into puree. 2) Heat olive oil in a wok. Add rolled oats and stir in till oats are slightly brown in color. 3) Add garlic and stir for 1 minute. Add the puree and cook for 2 minutes, stirring occasionally. 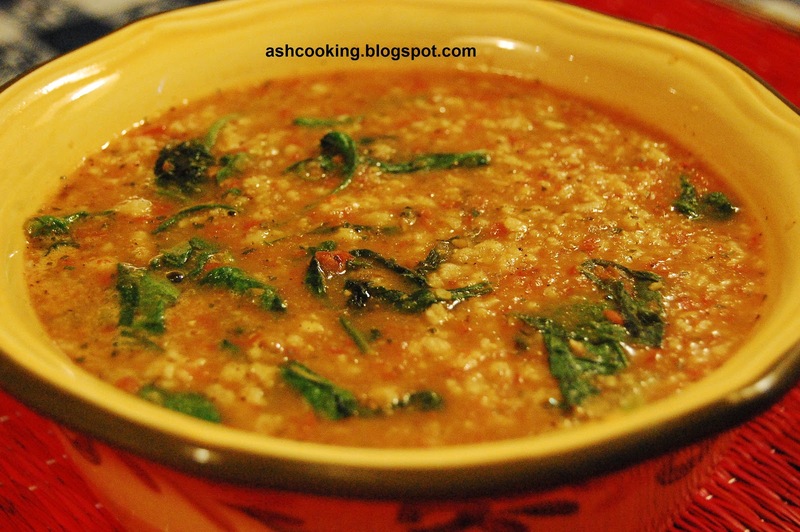 4) Add the blanched spinach along with 3 cups of water depending on your liking for the soup consistency. 5) Add paprika and black pepper. Add salt. Bring the soup to a boil. 6) Ladle into soup bowls and enjoy the hot soup.